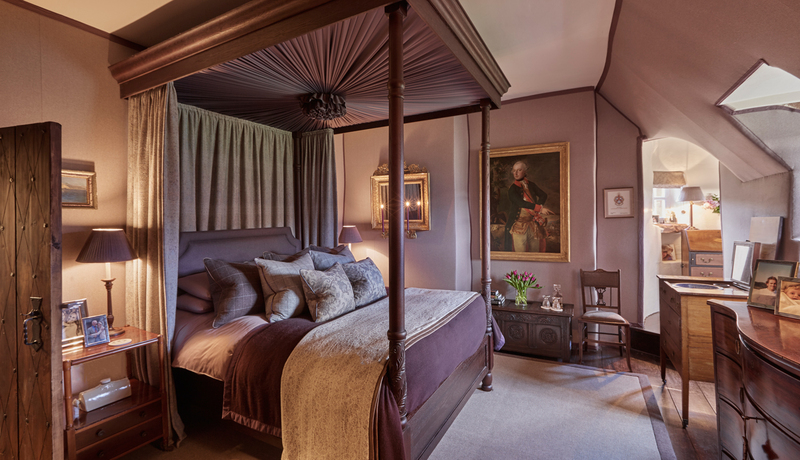 The rich purple hues of this room sit perfectly within and around the carved wooden four poster bed with starburst canopy. 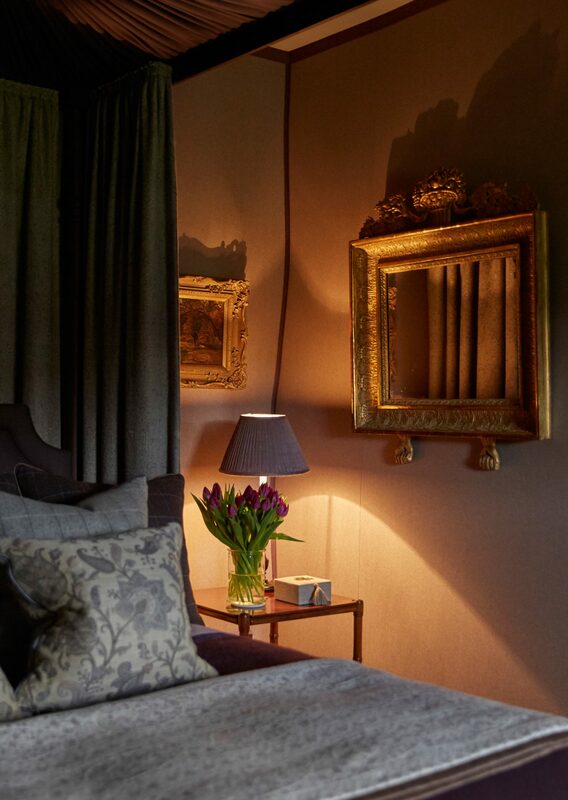 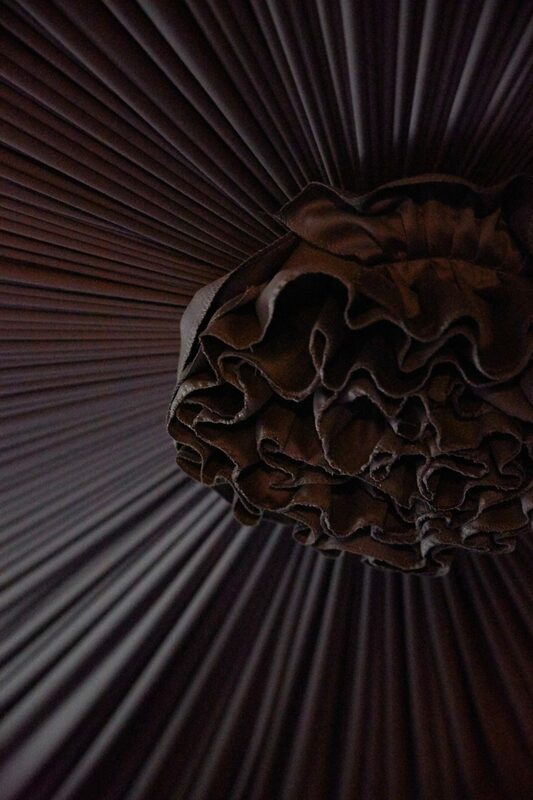 Featuring bespoke cushions and throws, the upholstered walls finish off the layered design. 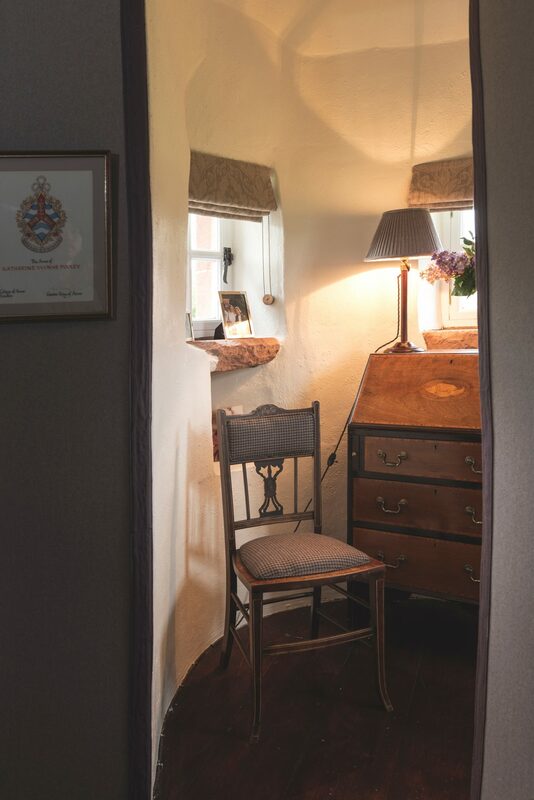 Of particular note is the Swedish empire mirror and antique wash stand as well as the bureau in the turret.